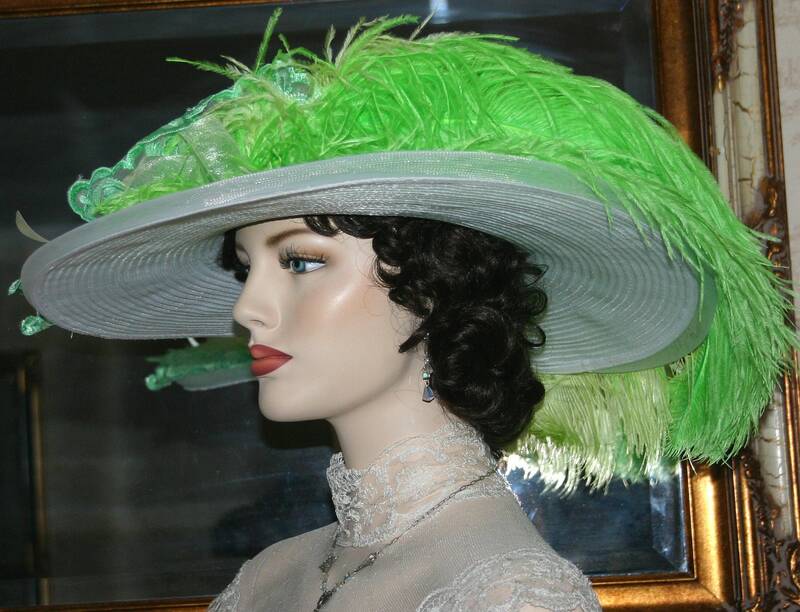 Edwardian Tea Hat "Lemon-Lime Crystal Fairy" is a elegant Downton Abbey Hat designed over a white designer horsehair hat brim that measures 18 inches in diameter. 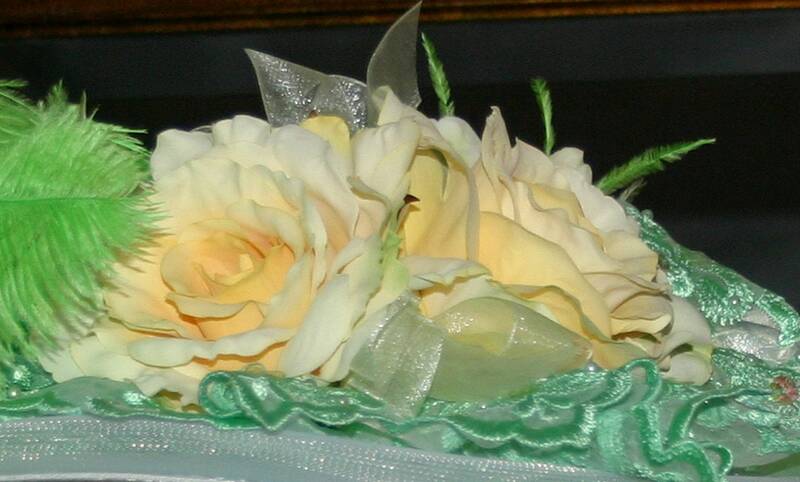 The hat is adorned with two beautiful yellow roses accented with yellow organza ribbons. 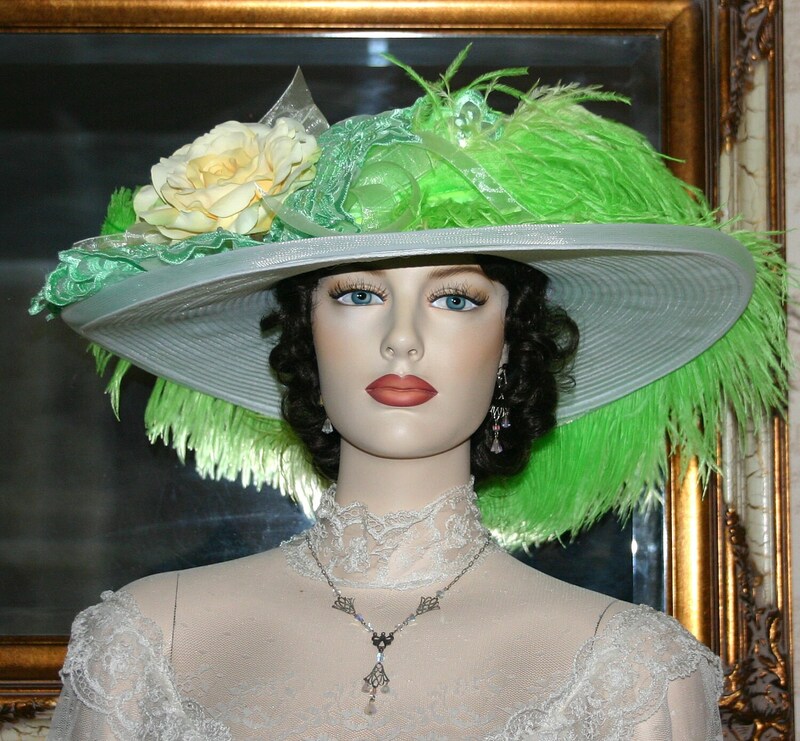 The hat band and rosetta behind the roses is apple green embroidered organza lace accented with lemon-lime sequins and pearls. 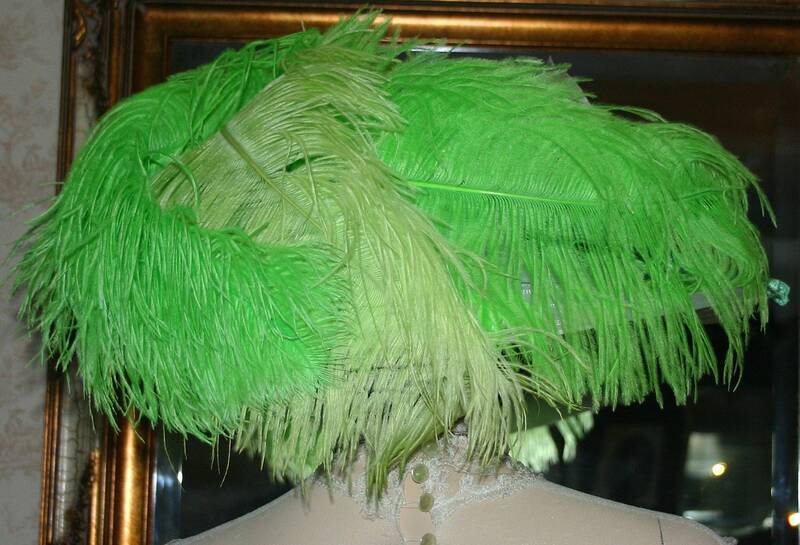 Three elegant ostrich plumes sweep around the brim. 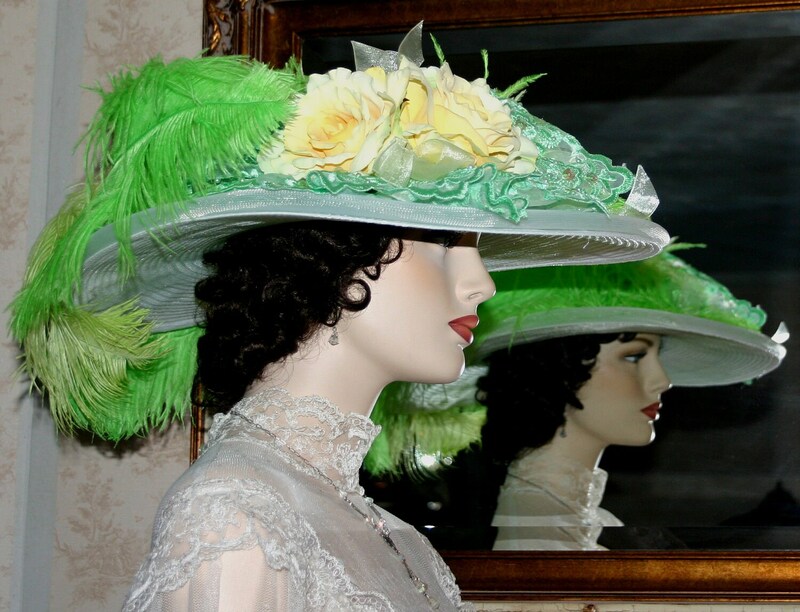 Perfect for any occasion that you'd like to be noticed!